Another month has passed, and far to quickly I might add. One day it’s Sept 7th, I’m out with the girls for dinner then the next moment I know, its’ 5 weeks until I get to meet my baby – well give or take a day or two. I know I’m a couple day late … but better late than never. Another month has come and gone. I am enjoying reflecting back on what has been accomplished, done or created. Apples – Every time I start baking or canning, my love for apples grows. My daughter is in love with them as well. YAY! Score one for health! My Mum – She has showed me so many wonderful things and raised me right. A roof & lock – Happy isn’t the right word, but I’ll use it. I am so happy I get to come home everyday to a roof over my head and a lock on my door. When I was younger, my Mum gave me a journal to write in. I already had a diary but this one was special. She said every night before you go to bed, write at least 3 things you are grateful for that day. They can be big or they can be small. At first I didn’t understand the point of this activity but I did it because it made me feel good. I did this everyday and I started to see the point of it. No matter how dark and gloomy life may get, there is always something to be grateful for, always. I am very grateful for many, many things in my life. One thing that I am extremely grateful for is my family. We are all happy, healthy and loved. Take a moment to evaluate your life. 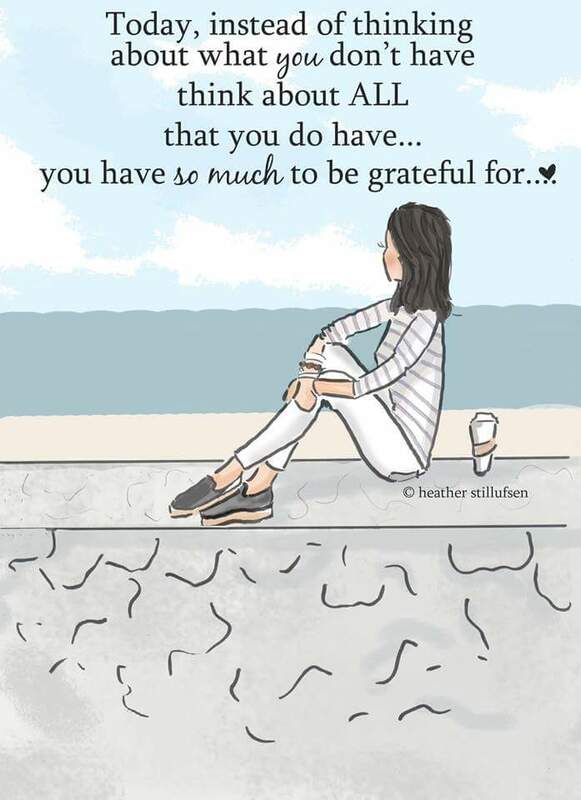 If there is at least one thing to be grateful for. Smile! Becoming a Mum, I see things a little differently. I do things more efficiently. I appreciate silents a whole lot more. Just take a moment out of your busy life to just appreciate the fresh air you’re breathing. The clean water you have access too. The clothes that are keeping you warm.